I have always been excited about new things. I once preached on this and gave the illustration of how I love getting a new calendar and looking at the monthly pictures and seeing all the pages so nice and clean. 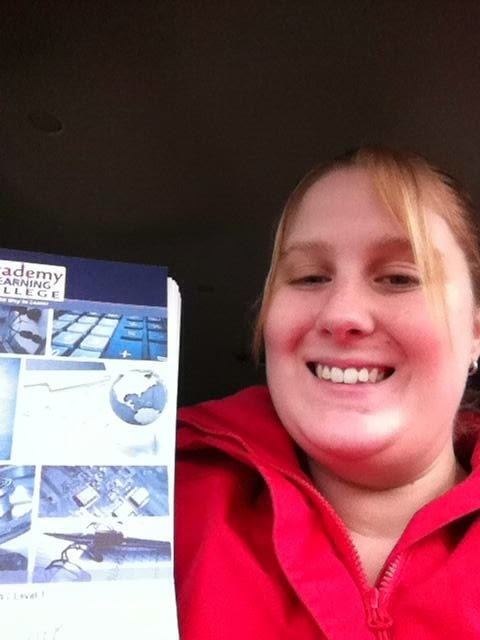 When I was taking school courses it was exciting getting new books and getting ready to start learning. Well today my daughter has a new beginning....she is back to college! I am so excited for her. I know that this morning she was excited and nervous but she was ready to go. I know that it will not be easy because having a family of four young children take up a lot of time but I am happy that she has the determination and drive to work hard to succeed. One day at a time will get her to the goal of completion.